The bane of everyone's life. BATTERY TECHNOLOGY ITSELF isn’t going to improve anytime soon – lithium-ion batteries will continue to be the standard for the foreseeable future – but a research project from Microsoft has a different idea for making batteries last longer. Instead of coming up with an entirely new battery that can store more power, Microsoft’s research team is looking at how to build a better system for the battery. Current laptops and tablets use only one type of battery and how it’s used depends on the hardware available instead of the operating system. While better batteries have been produced, they haven’t been able to keep up with advancements in other areas like screens and processors. This project uses multiple kinds of existing batteries and works with smarter software to ensure both tablets and laptops stay charged longer than current standards. By combining different kinds of batteries, each optimised for different tasks, into the same device, it works with the operating system to figure out what the user is doing and chooses the most efficient battery for that task. It also uses machine learning to learn a user’s habits so it can figure out more ways to extend battery life. The team gives their own example as to how this might work. For example, the system may recognize that the user plugs in the tablet every day around 2:45 p.m., and then gives a long PowerPoint presentation every day at 3 p.m. That means the computer needs to be ready to do quick charge at that time, so the person can make it through that afternoon meeting. Another user may use the computer primarily for e-mail and Word documents during the day, then switch to surfing the web and watching videos on a train or bus commute home. 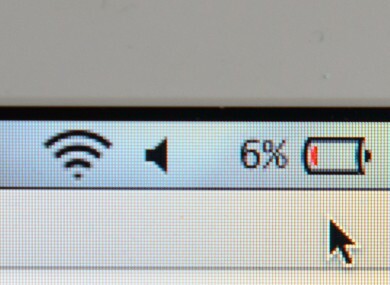 Based on those habits, the computer can optimize the charge to make sure the user can do both without having to search desperately for an outlet. The project is only in the prototype stages at the moment, but the hope is it will not only be seen in consumer laptops and tablets soon, but applied to anything that requires a battery like smartphones. “We think we can get you the benefits of the different types of batteries that have already been invented, rather than having to keep on waiting for the ultimate battery to be invented,” said researcher Ranveer Chandra. Email “Microsoft has a unique idea to help make laptop batteries last much longer”. Feedback on “Microsoft has a unique idea to help make laptop batteries last much longer”.